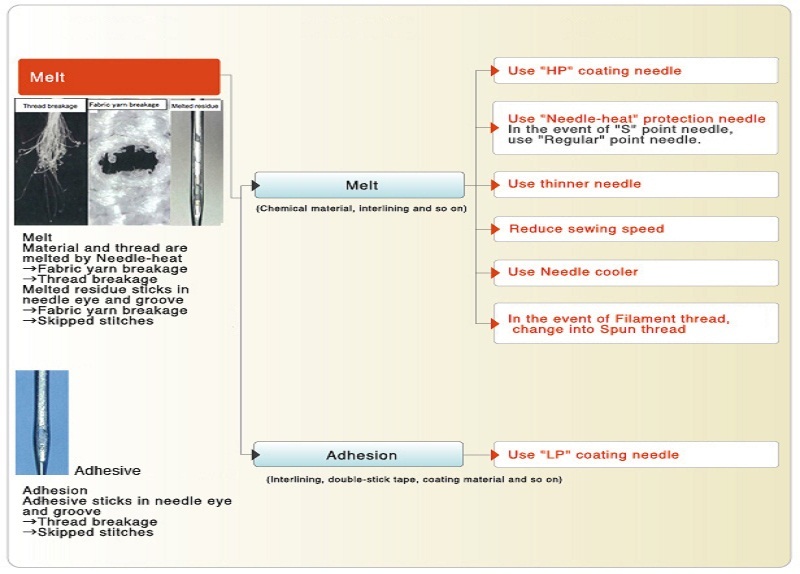 Troubleshooting "Melt / Adhesion"｜ORGAN NEEDLE CO.,LTD. ・Remove the stitches, and one of the melted residue might stick to the material. ・The melted residue might stick on the needle.